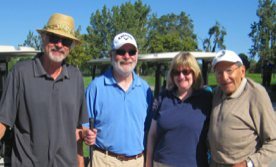 Since 1985, the Rho Alpha Kappa Alumni Association annual golf tournament has been a major funding source for the Rho Endowment Fund. In addion Rho has held events such as curling, special tours, BBQs and gatherings for the benefit of its members and to raise funds. The Bob Farland Memorial Golf Classic was established in 2014 by the Southgate Centre in Woodstock, Ontario. Bob was a valued member of Rho. 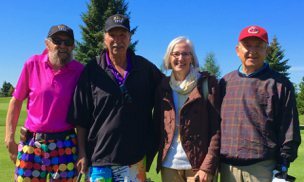 A long-time resident of Woodstock, Bob was an active member and fund raiser for Southgate Centre. 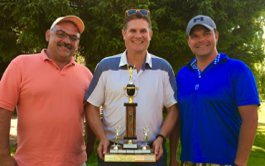 On July 7, 2018 brothers and friends of Rho gather for RhoGolf'18 at Erin Heights Golf Club. It was a great day of golf, comeraderie and a fine dinner. Special thanks to Ryerson University Advancement for offering prizes, pens, pins, and caps, as well as "Alumni" tee shirts. In its 13th year, the Port Hope classic was established by Mac Bradden and draws golfers from all over the region.